Jennifer Kupcho at the LPGA Marathon Classic. From a field of 102, three players with strong Colorado ties emerge with LPGA cards. To no one’s surprise, the No. 1 amateur woman golfer in the world—Jennifer Kupcho of Westminster, Colo.—qualified for the LPGA Tour during the inaugural Q-Series concluded Saturday at Pinehurst Resort in North Carolina. And she did it convincingly, shooting a 17-under-par 559 over eight rounds to finish second by one stroke to South Korean professional Jeongeun Lee 6 (yes, that 6 is correct; the Korean LPGA attached the numeral to her name because there are so many players with the exact same name on its tour). Also qualifying was 2013 CoBank Colorado Women’s Open champion Becca Huffer of Denver, who finished in 10th place. 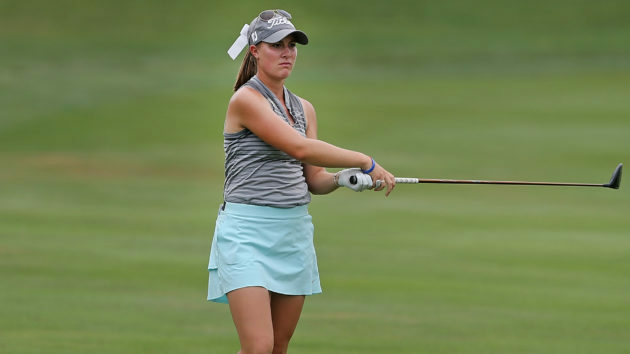 The 28-year-old Notre Dame grad plays on the Symetra Tour, where her three top-10 finishes, including a runner-up and a third place showing placed her 21st on the Symetra money list with $42,674. 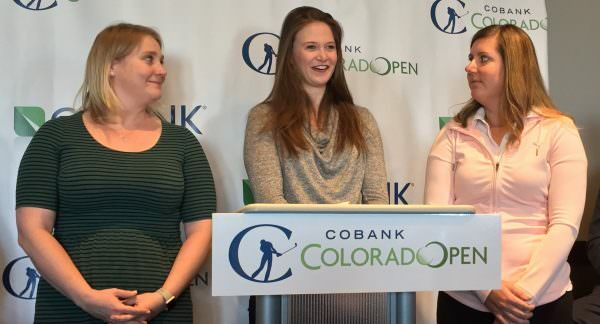 Becca Huffer (center) shown here in 2017 with fellow CoBank Colorado Women’s Open competitors Erin Houtsma, and Ashley Tait, will be playing on the LPGA Tour. Huffer finished with a 3-under 573, 14 strokes behind Kupcho and 13 clear of the “cut line” of 10-over-par shot by players tied for the 45th and final spot. One of those players was Australian-born University of Colorado junior Robyn Choi, who has qualified for the last two U.S. Women’s Opens. In the eighth and final round, after bogeying four of the first nine holes on Pinehurst No. 8, to Choi rallied to birdie holes 16 and 18 to finish right on the number at 10-over 586. She and three other players tied for the final exemption. 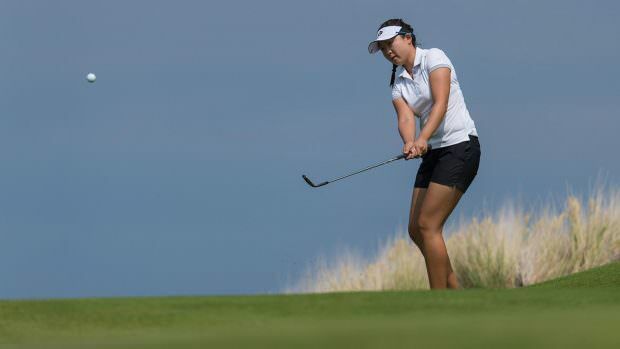 Thanks to a new rule allowing qualifying collegiate players to defer becoming an LPGA members until they finish their current school year, Choi and Kupcho have the option to wait to turn pro until after the current school year ends. Choi, a junior, is apparently going pro, judging from the reaction of CU women’s head golf coach Anne Kelly. Robyn Choi appears to be leaving CU for the LPGA. Kupcho, a 21-year-old Wake Forest University senior, has different plans. Although with the kind of 2018 she’s had, it’s hard to imagine she has much to prove on the amateur level. She won the NCAA individual title; played on the victorious Curtis Cup, Palmer Cup and Women’s World Amateur Team Championship squads; and finished 16th in her first LPGA event. But the communications major wants to get her degree. Then she plans to turn pro, even though by doing so she’ll forfeit the automatic berths into the U.S. Women’s Open and Ricoh British Open she earned as the winner of the 2018 McCormack Medal as the world’s top women’s amateur. If she wants to compete in those events, she’ll just have to qualify. It’s obviously a skill at which she’s quite adept.